Twitter, the famous micro blogging website, has agreed to acquire London based company TweetDeck, a Twitter desktop client preferred by many of the social-media service's most active users, for $40 million in cash and stock, according to a CNN report. 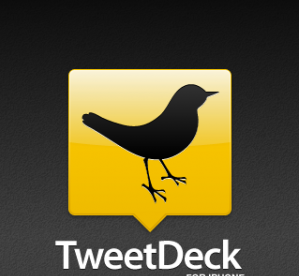 In April, The Wall Street Journal reported Twitter was in "advanced talks" to acquire TweetDeck for $50 million, significantly more than the final deal was worth. The deal has not been officially announced yet, but a purchase agreement was signed today, according to the report, which cited sources close to the deal. Twitter declined to comment on the report. "For all those who might be curious, we continue to not comment on rumors," the company said on its official public relations Twitter account. TweetDeck, which develops applications for desktop and mobile for organising tweets in handy columns, is an ambitious little company with big dreams about being a hub for other social media sites like Facebook and email clients. UberMedia was also trying its hands on TweetDeck, as in February it had offered a price of $30 million to buy it. A noteworthy fact that it had bought some Twitter clients (UberTwitter to be one of them) earlier might be disturbing Twitter. Twitter has aggressively pursued an acquisition strategy in building up a suite of applications. So, this won’t be the first time Twitter has picked up a third-party app. Last year it bought the iPhone app Tweetie, and it has also partnered with the photo add-on TwitPic. Twitter surely wants to eliminate competition and forcing users to use Twitter made apps.